In today’s digital world, a mix of print and online marketing is needed to effectively capture the automotive market. 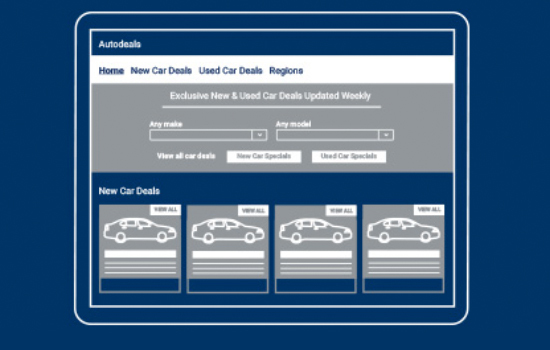 AutoDeals is a turnkey white label solution custom-built to serve the newspaper industry. Give your local advertisers a distinct online advantage and add value to your existing print advertising program. 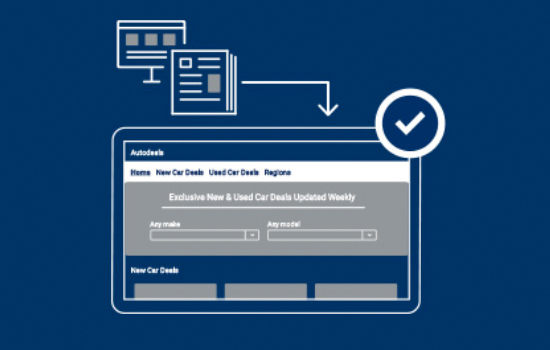 First we connect your participating dealerships’ new and used online inventory with our system. 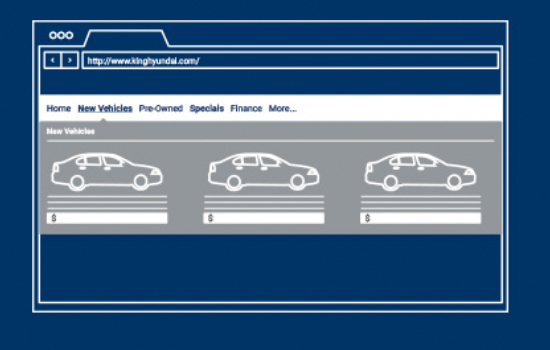 Next, we create dealership landing pages designed to match the look and feel of each advertiser brand. Our autos team creates new car specials, oversees automatic imports of used car inventory, and recreates dealers’ custom service specials. Every car receives a photo slideshow and is categorized by brand, model, price, region, and more. 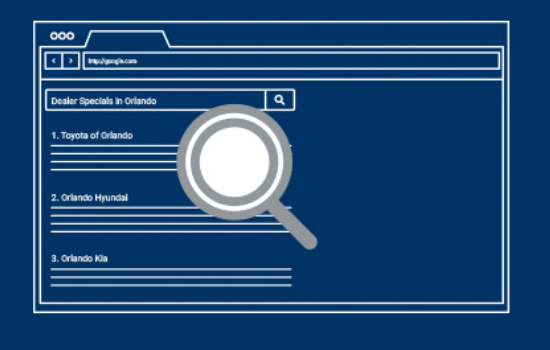 A custom SEO keywords and metadata package is created for each dealership page to drive traffic from search engines to their new and used car listings. Finishing touches include premium upsell options and placements such as interactive display ads, featured dealership positions, social media integrations, and more. 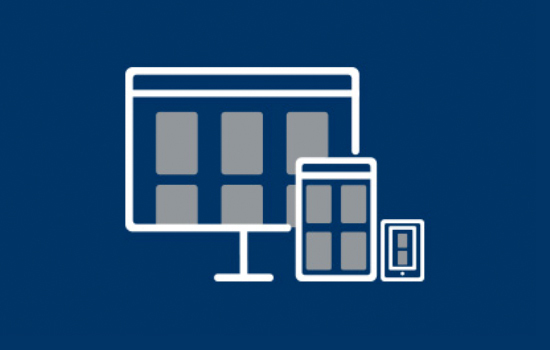 Your auto vertical will be responsive across all devices and optimized to drive organic search traffic from Google. We import new, used, certified pre-owned and service specials. Comprehensive search with key filters such as brand, make, model, price, miles, etc. AutoDeals is co-op eligible with approximately 90% of the OEMs. We get pre-approval and make the digital co-op process turnkey for your dealers.